One of my favourite Instagram accounts is that of the American designer behind ‘Poppy von Frohlich‘, who makes beautiful woolen womenswear, ranging from flannel shirts to winter coats. 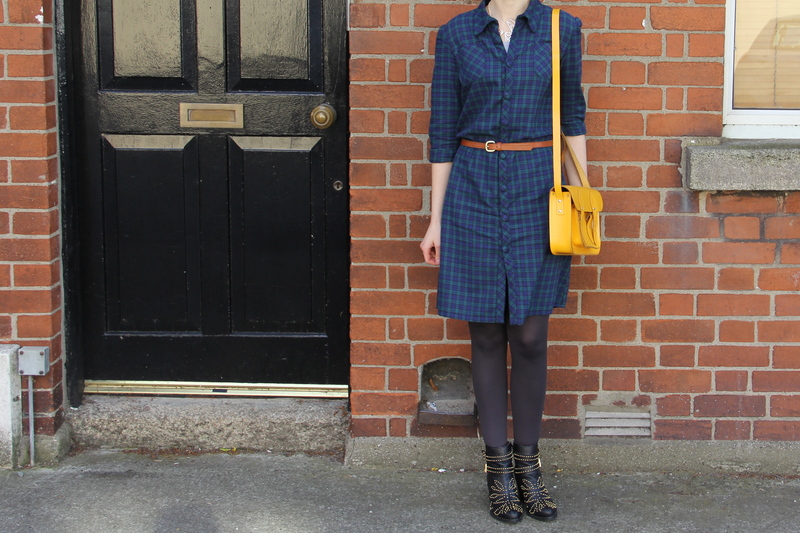 Her pictures really inspired me to finally try my hand at plaid matching, and what better project to start on than a plaid shirt dress? I’ve been looking out for the perfect shirt dress pattern for some time now – a design that could be made up into a cosy flannel dress for cooler weather or with more luxurious fabric for a smarter version (like this lovely velvet YSL dress). Judging from the line drawings on the Simplicity (2246) Lisette Traveler pattern, it looked like it would fit the bill perfectly. 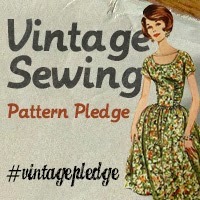 It also helps that the pattern has gotten great reviews across a wide range of sewing blogs so there’s a wonderful selection of sewn-up versions to preview online. Sorry for the wrinkled back view! The only sunny window for taking photos was a few hours after I had put the dress on! I sourced the brushed cotton from a UK seller on eBay and used it to make the Traveler dress in Version A. This version is supposed to have two lower pockets as well, but I left them off and cut the upper pockets and the plackets on the bias to shake up the plaid pattern. Matching that plaid takes a lot of effort! Hats off to all those people who’ve made several plaid Archers! Despite all my efforts, I didn’t quite match it across the side seams, but I’m happy with how well the front panels, plackets and pockets worked out. I made matching buttons out of one of those ‘self-cover’ button sets. I have quite narrow shoulders and I think this falls just a little too wide for my shape. It would certainly fit better if I buttoned it right up to the top, but I’m not really comfortable wearing this style like that so I’ll just get on with it being the way it is! I’ll definitely measure the shoulders on the pattern pieces before trying version C, which is the next one I’d like to make from this pattern.